Students consistently report that they return from their time abroad with new-found confidence, maturity, and self-awareness. As a unique combination of education and adventure, our international programs encourage responsibility, teach students to thrive outside of their home environments, and are often a source of personal inspiration for years to come. True global citizenship requires that you get out into the world and hear foreign languages, taste new foods, and see other cultures firsthand. "I am a citizen, not of Athens or Greece, but of the world” said Socrates around 400BC. Global citizenship is founded on awareness and respectful of other cultures. It all begins with the first step abroad, as students learn to take a genuine interest in the people and cultures outside of their home country. A global citizen is someone who, although belonging to a certain culture, is aware and respectful of other cultures, and can easily adapt and feel comfortable abroad. Greater perspective on how others live, leading to humility and generosity, traits which are attractive to potential employers. Decision making - traveling solo in different parts of the world, you learn how to make decisions quickly in unfamiliar circumstances. Communication - what better way to develop your communication skills than by encountering new cultures, languages and communication styles. As you learn phrases for surviving daily life in other countries, you will develop a talent for how to learn languages, and how to communicate non-verbally with people from other cultures. Cross cultural leadership - as you travel the world, your skills in cross cultural communication and leadership will be tested and refined. Money management, budgeting, planning - travel will improve your financial skills as you learn to live within your budget, plan for future travels, negotiate hotels, transportation and more. Negotiation skills - traveling the world on a budget will force you to become a great negotiator, a skill that will benefit your career long after the trip is done. Adaptability - While traveling you will need to learn to be flexible and accept changes quickly, which are important skills to develop to an ever-innovating world. Interpersonal skills - solo travel is lonely if you don't quickly develop a knack for interacting with people from different cultures. 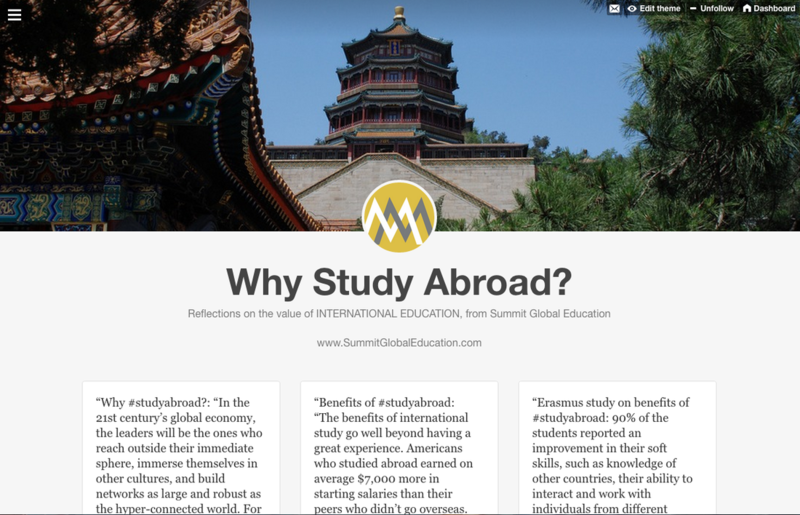 Read more: "The Benefits of Studying Abroad" from IES Abroad. Perhaps Rick Steves said it best: "I believe that our national security rests upon the foundation of a well-educated electorate with a broad and sophisticated worldview. "Our world is one big, rapidly evolving marketplace. Employers crave graduates who are flexible, multilingual and comfortable in multicultural settings. Study abroad sharpens these skills and helps keep American workers competitive. "Americans who want our next generation to be hands-on with the world — grappling constructively with international partners against daunting challenges that ignore political borders, working competitively in a globalized economy, and having enthusiasm rather than anxiety about other cultures and approaches to persistent problems — can get on board with the movement to help our students get a globalized education. "... get a passport and see the world as a classroom. It’s good for America. And it’s fun."